Are you planning to spend your winter vacation somewhere where you can enjoy combination of great skiing, good food, relaxation and sightseeing? 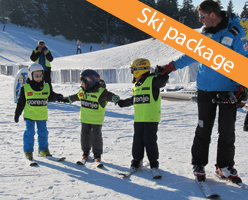 We have prepared ski packages in Kopaonik, the most famous ski resort in Serbia. We’ll take care of everything from the moment we meet you at the airport till you depart home. Our plan is to give you an opportunity to arrange the whole stay through single package. Beginning with airport to resort transfer, hotel accommodation, ski rental, ski pass and even ski lessons if you need those. No matter if you don’t plan to spend fortune on a ski trip, or you want to treat yourself with luxury, we got you covered. We made selection of accommodation ranging from apartments to 4+ star hotels. 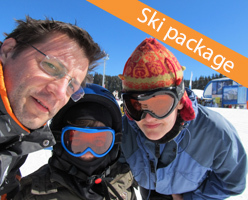 We are skiers as well, so we know what is needed for a good ski vacation. Please go through the following offer in order to see which one suits you best. 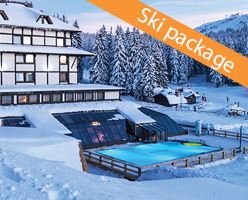 All prices are given per person for a week stay in a double room, and it includes following: half board or bed and breakfast service, six-day ski pass, airport-resort-airport transfer and ski equipment rental (premium class).